On Friday, May 8th, Joe will perform in an all-star tribute at a gala honoring Joni Mitchell, who is receiving the 2015 SFJAZZ Lifetime Achievement Award. Joe will be joining the likes of Kris Kristofferson, Patti Austin, Kurt Elling, Tom Scott, Mark Isham and Laurie Antoniloi. They will be interepeting Joni's work under the direction of music directors Brian Blade and Jon Cowherd. All proceeds benefit SJAZZ artistic and educational programs. 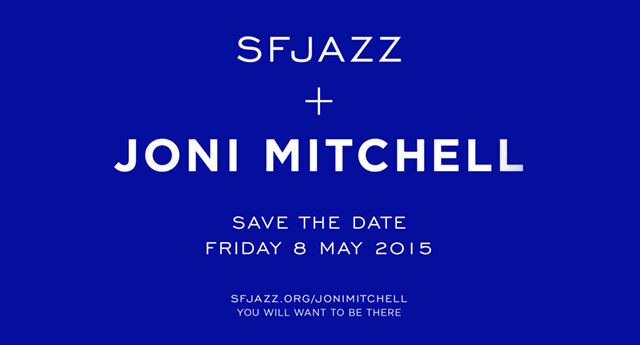 For more information, visit http://www.sfjazz.org/jonimitchell.